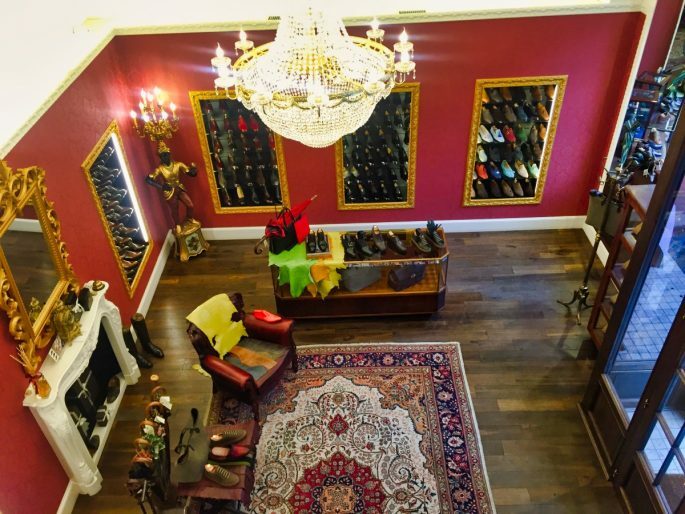 Bocache & Salvucci: Is This World's Most Exquisite Men's Shoe Shop? 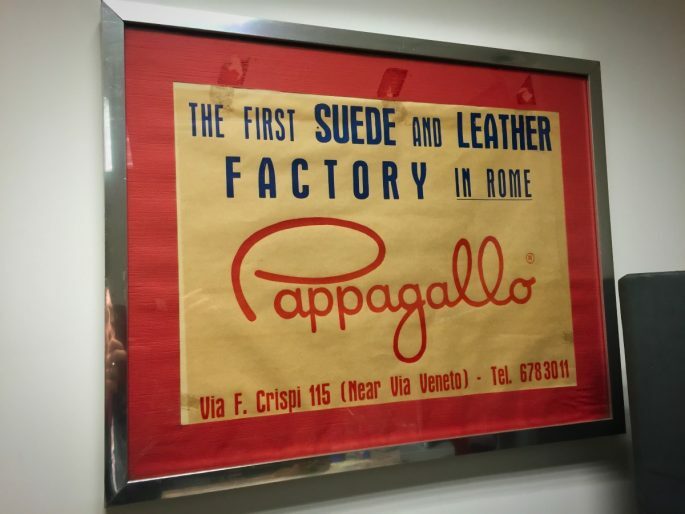 As a complete shoe obsessive I made sure that the first thing I prioritised on my first ever visit to Rome was buying some beautiful Italian leather shoes. 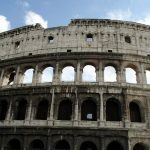 The only problem on that particular short trip was that I had just 4 hours to spare in the Eternal City before I had to catch a train to another part of Italy. Undeterred I got a taxi straight from the airport and with some expert planning and using the shopping finesse I’ve been honing for many a year, I managed to buy 3 pairs of shoes in Rome all within the space of an afternoon. On my next visit to Rome the shopping theme continues, yet when it comes to the shoes, it couldn’t be a more different experience. 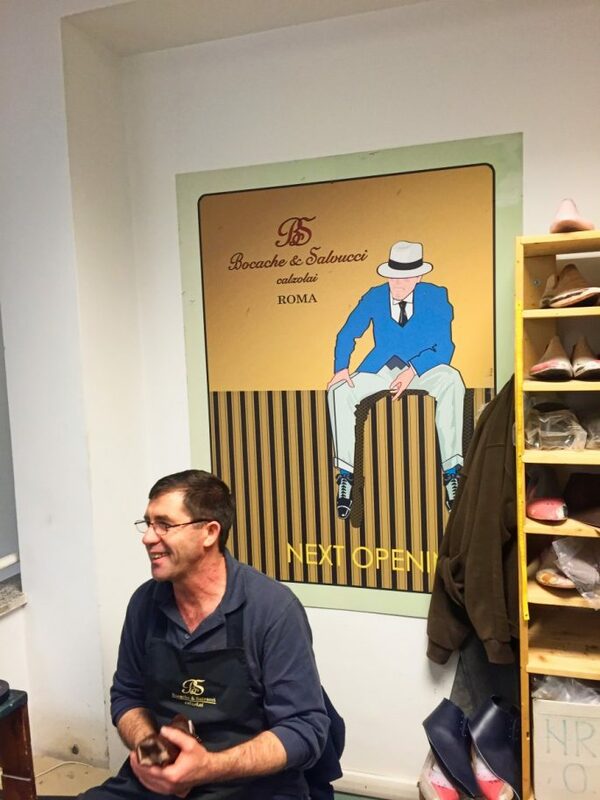 The act of rushing around one of the most stunning cities on the planet in search of shoes is replaced by a totally different type of shoe shopping in Rome, as I spend some time at one of the best if not the premier men’s shoe shop in Rome: Bocache & Salvucci Shoes. 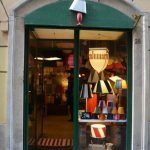 At this smart and refined but quietly understated store on Via Francesco Crispi, a stone’s throw from the Trevi Fountain, I learn first hand why Italian craftsmanship at this exceptional level is still prized by rich, famous and style-conscious clients from all over the world. 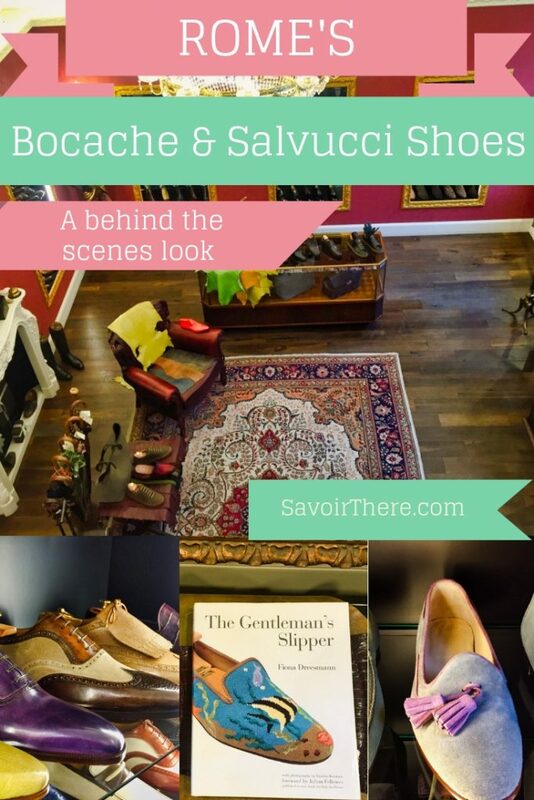 For someone who delights in footwear – even if this brand is purely dedicated to men’s rather than ladies’ shoes – getting a very special glimpse behind the scenes at Bocache & Salvucci is a delight. 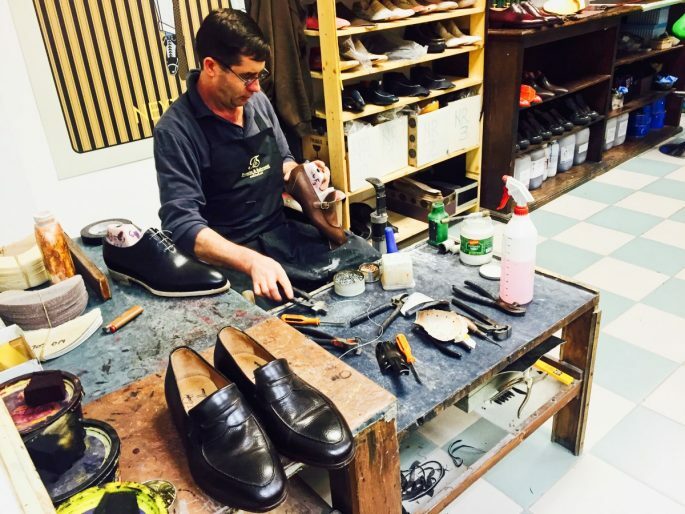 What makes Bocache & Salvucci Shoes So Special? Costing in the region of €2000 a pair, shoes by Bocache & Salvucci don’t come cheap. 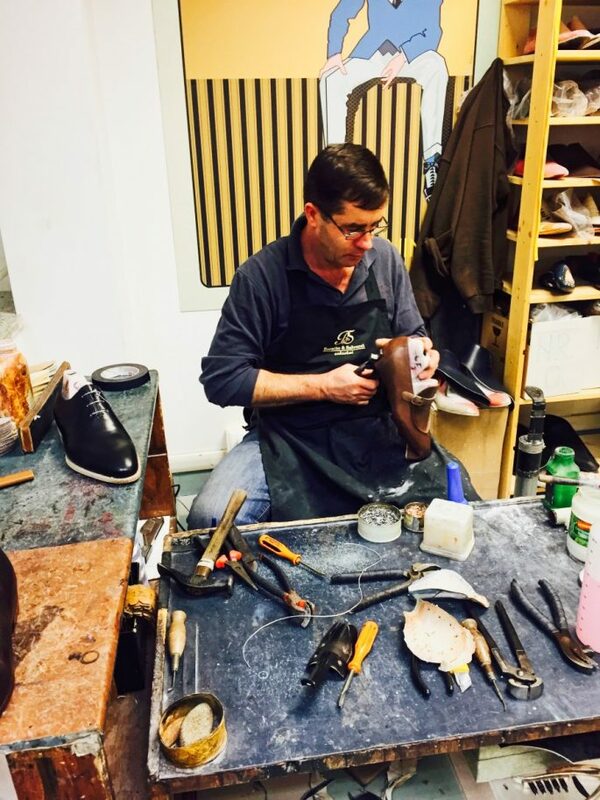 But the level of work and attention to detail Bocache & Salvucci customers enjoy from their footwear is unparalleled. The brand doesn’t make any ready-to-wear shoes and so each and every pair is 100% bespoke and custom made by hand, with not a single machine in sight anywhere in the workshop. On average it takes between 20 days to a month to make one single pair of these fine shoes. There are only around 10 people here who are able to craft bespoke shoes to this level, even after two years of training. People will travel from all over the world to see and to buy exquisite Italian designs, particularly leather goods, but it turns out that craftsmen from Bocache & Salvucci visit their customers at home more often than the other way around. 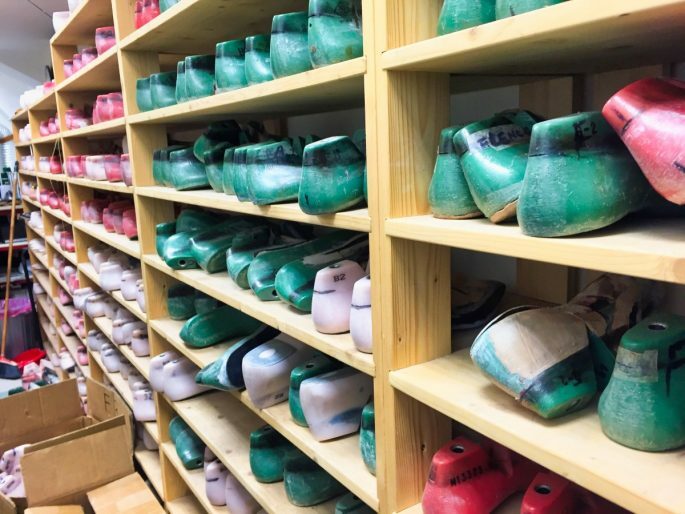 Clients such as the Saudi Royal family have their shoes made here, and so the climate and conditions the shoes are destined for are taken into consideration when selecting everything from the materials to the dyes and the glue. All have a double sole made from the hides of French cows which are later tanned in Italy. 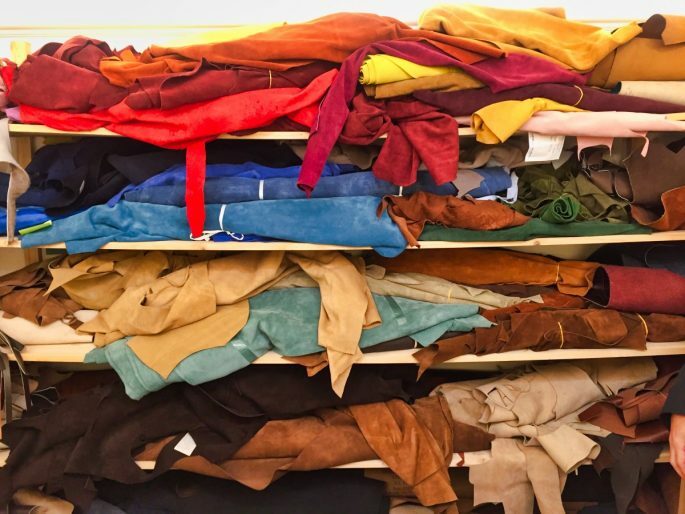 There are around 100 different colours of leather and suede and upwards of 150 shoe styles to choose from, but all shoes are made to the client’s exact measurements and specifications. 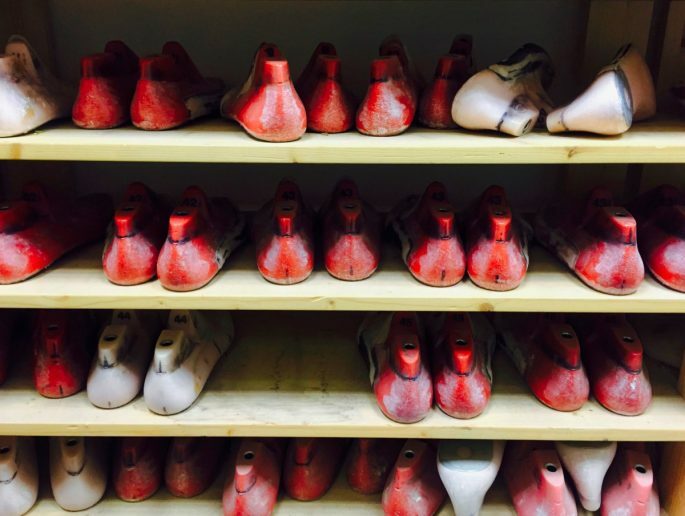 The process of making each shoe by hand gives complete control over every aspect of the shape and fit, and every client has their own unique mould. The shoes are cooked at 1000 degrees using a real fire and unlike brands which use a factory process, Bocache & Salvucci may only make a few hundred pairs of shoes in an entire year, while perhaps a couple are worked on each day. They have no plans to expand, grow or to mass produce, insisting on the eye for quality and workmanship which sets Rome apart when it comes to sartorial elegance. 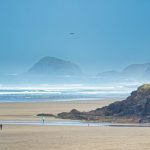 If you’re the kind of traveller who wants to experience the best of a destination then finding somewhere that specialises in this kind of workmanship is the perfect way to slow down and take joy in the details, even if it’s just to look rather than buy. 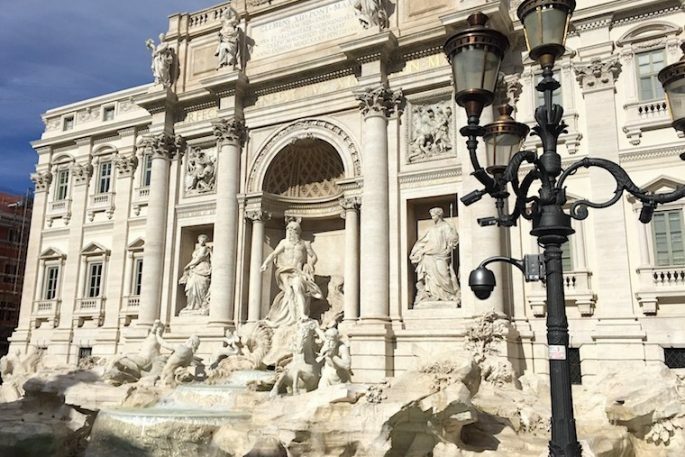 In a city like Rome, art, design and style are intrinsically connected to each other and to the spirit of the place. 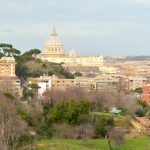 There is of course merit in taking a trip to Rome and rushing around to see all the sights – to cram in as much as possible before flopping back in your hotel room. 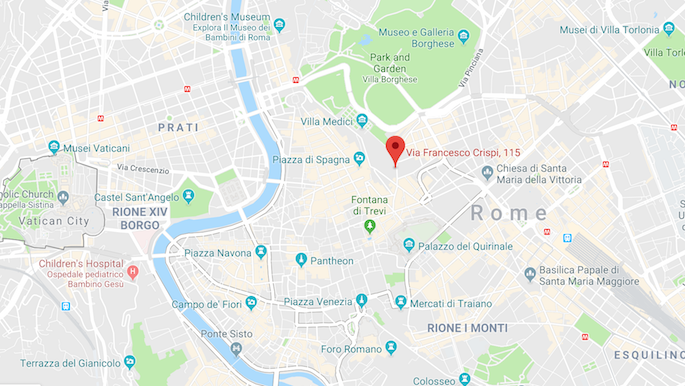 But for a really romantic trip to Rome you’ll want to slow down, perhaps check into a stylish Roman villa and then spend your time exploring slowly and shopping or admiring Rome’s best boutiques, of which Bocache & Salvucci Shoes is one. 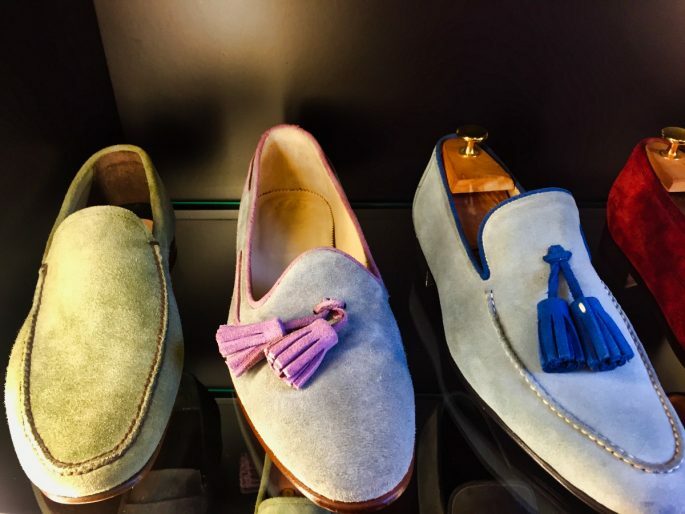 The store at Bocache & Salvucci was specially selected to represent the pinnacle of Italian shoe making by a special tourism project which singled out the most respected traditional Roman artisans in each sector. All the selected artisans form part of Italy’s heritage and are close to Rome’s most romantic attractions and historical sights, meaning they are easily accessible to tourists. Situated right in the heart of Rome, Bocache & Salvucci make the finest hand-crafted Italian mens shoes, to impeccable standards. 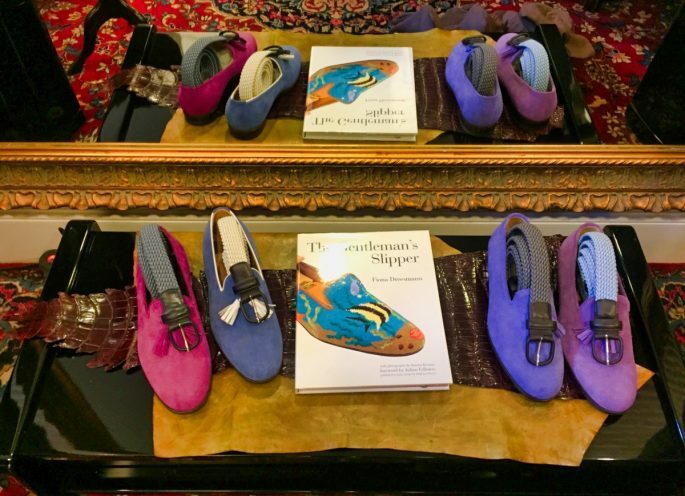 The workshop and store is located at the original premises at 115 Via Francesco Crispi, and you are welcome to pop in and admire samples of their work or browse for a selection of their ready-to-wear leather accessories. 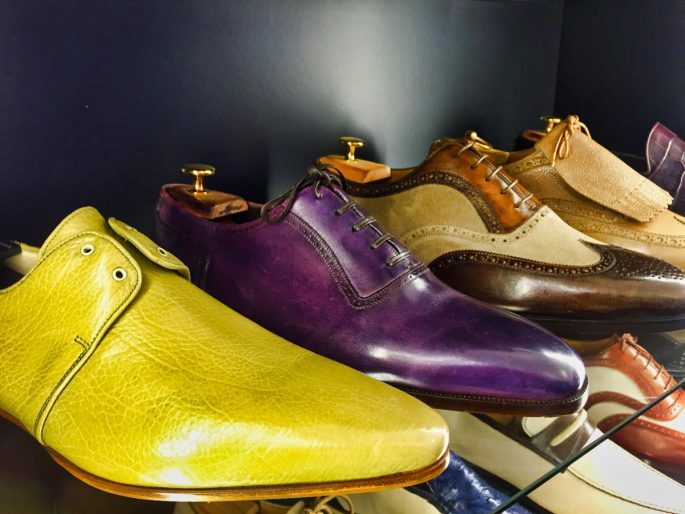 Bocache & Salvucci in Rome, Italy: Is This World’s Most Exquisite Men’s Shoe Shop?